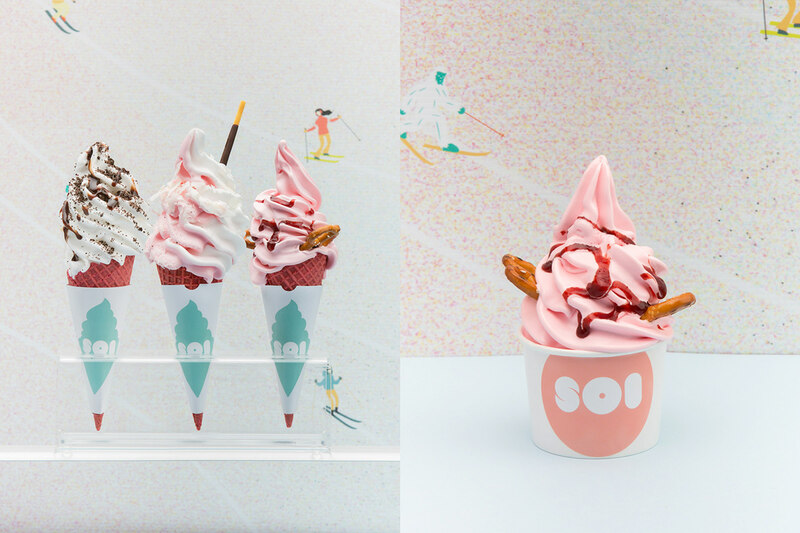 SOI Soft Serve is a unique ice cream concept by the famous Nem N' Nem Vietnamese hawker kitchen trailer. 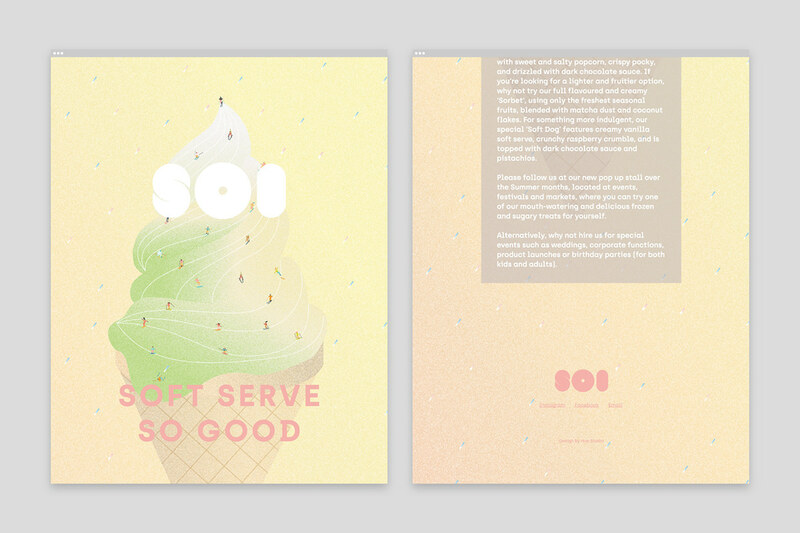 SOI offers premium soft serve ice cream served in a crispy cone, in a cup, on a donut or on an eclair. 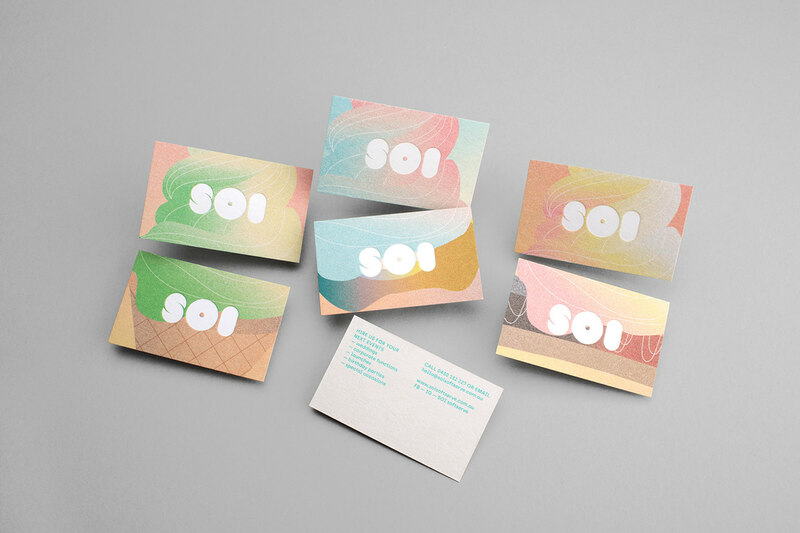 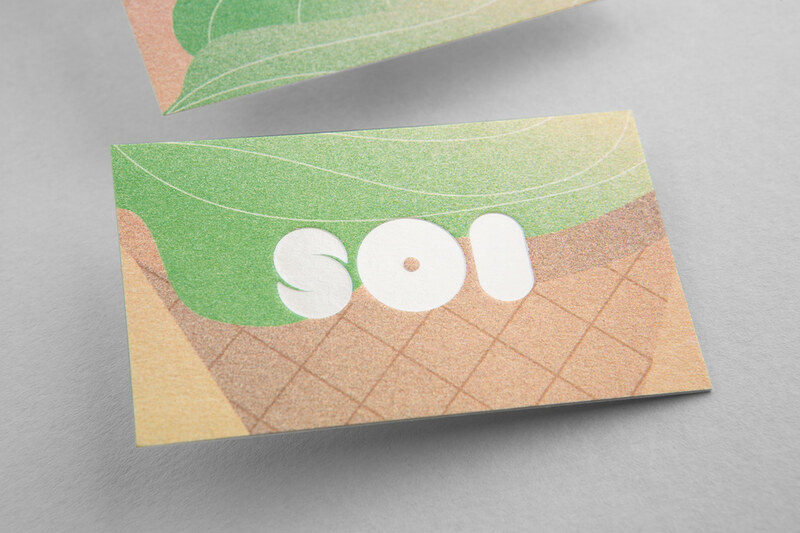 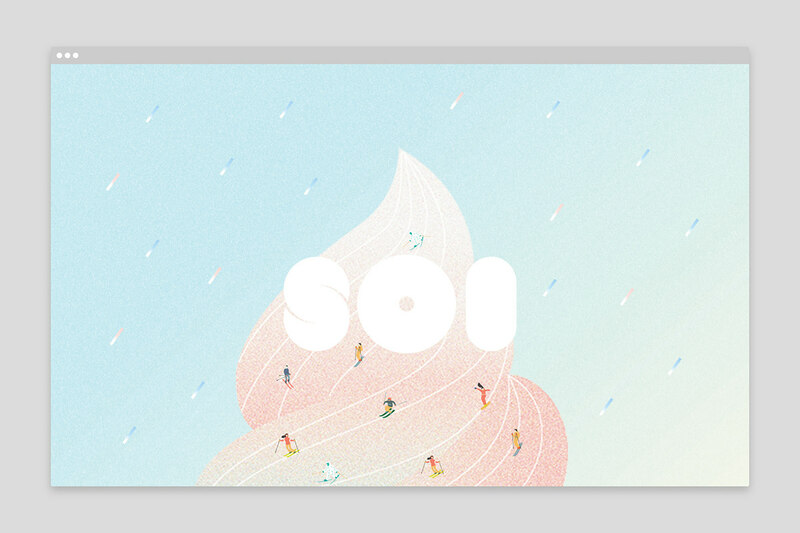 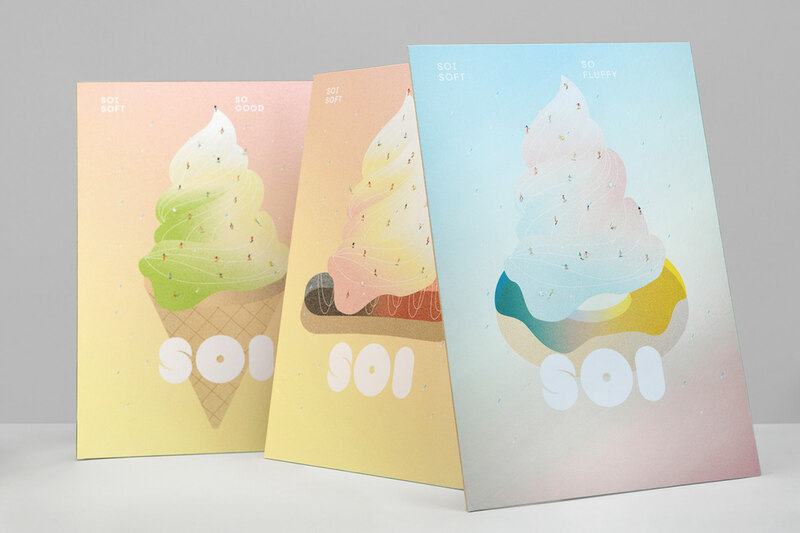 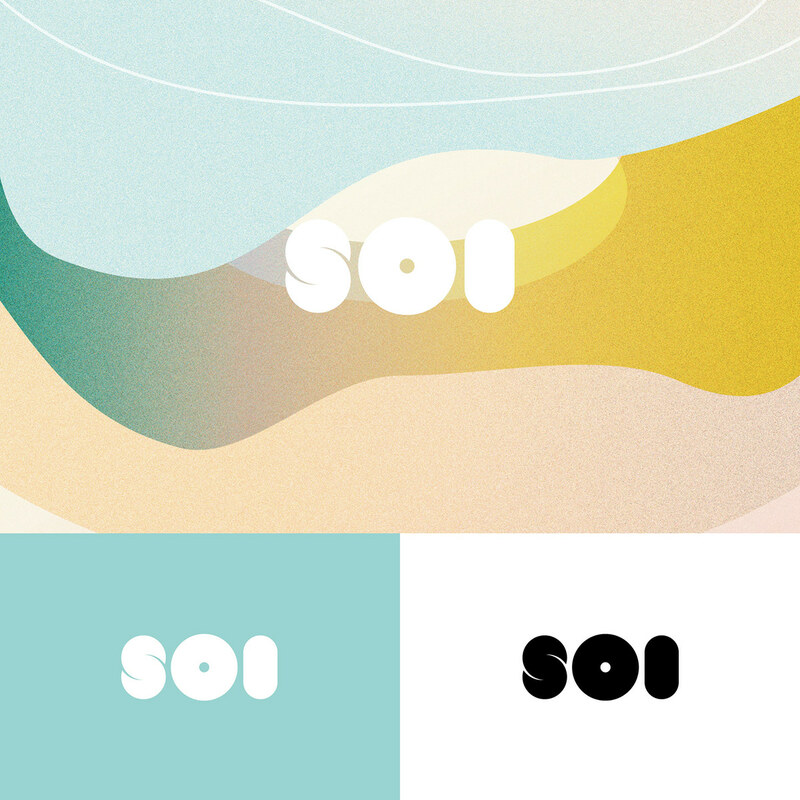 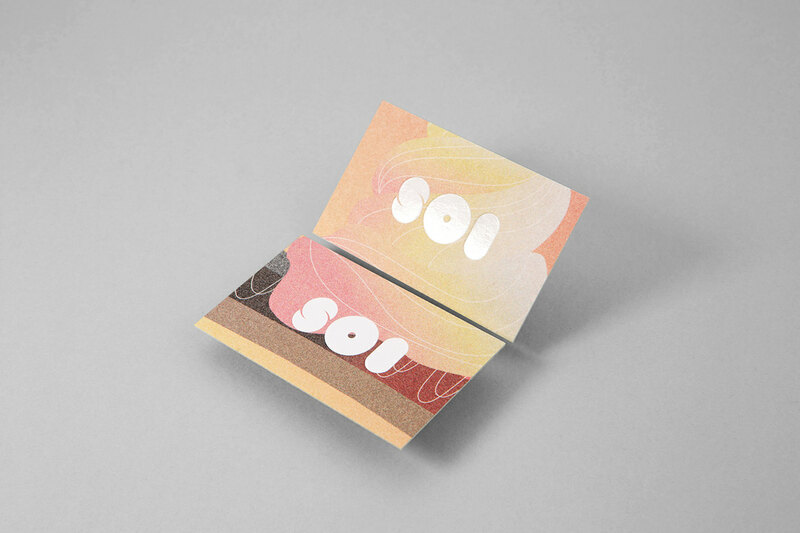 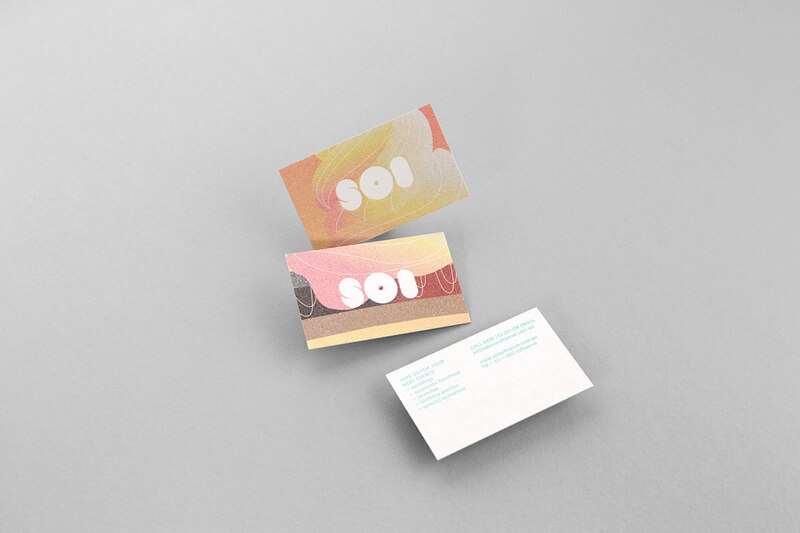 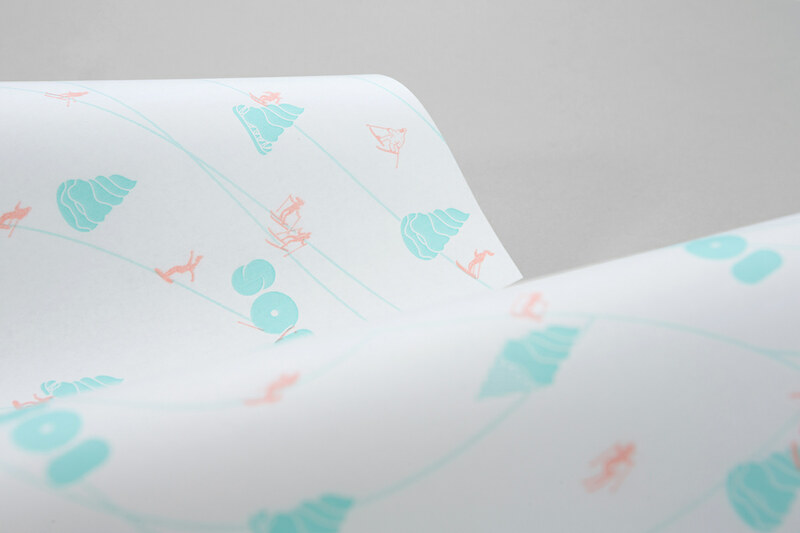 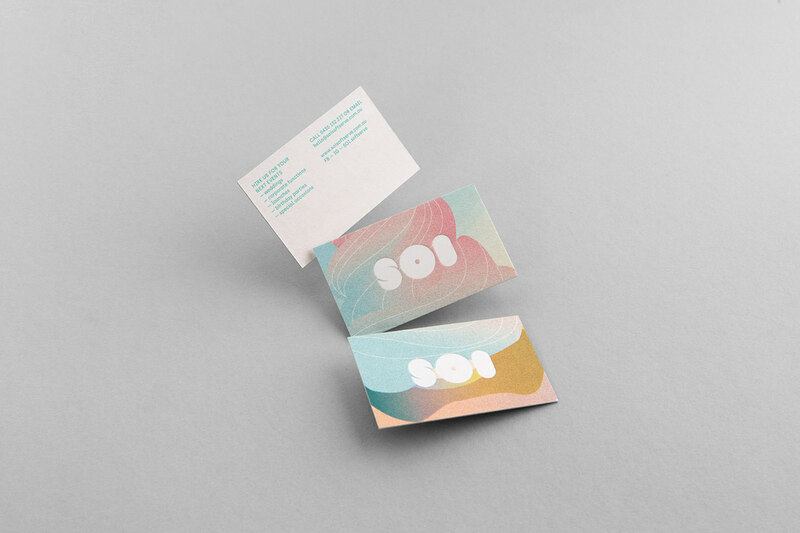 The name itself – SOI, is short yet memorable and inspired by the shape of soft serve ice cream swirls, chubby donut and eclair. 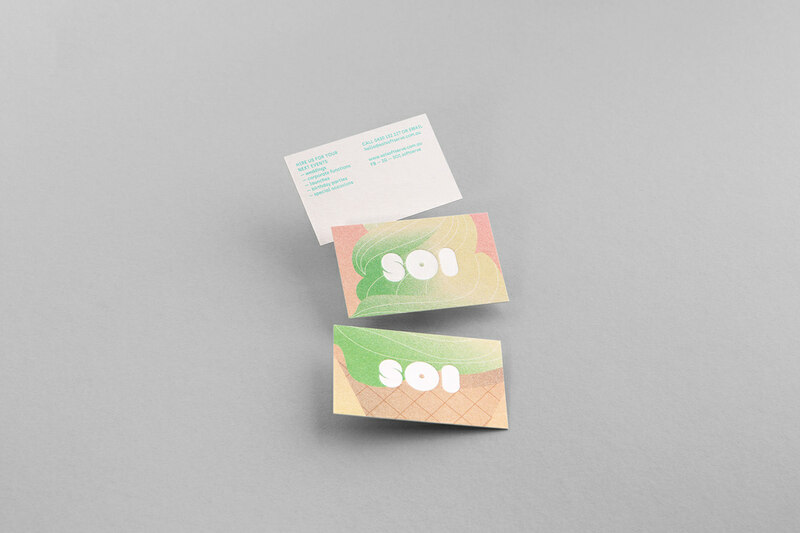 The whole branding direction reflects the soul of the products—fun and tasty, almost like a fantasy. 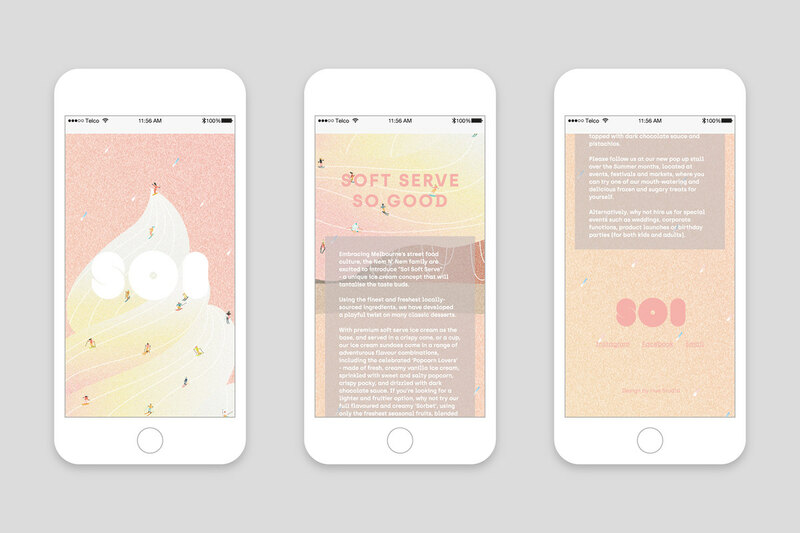 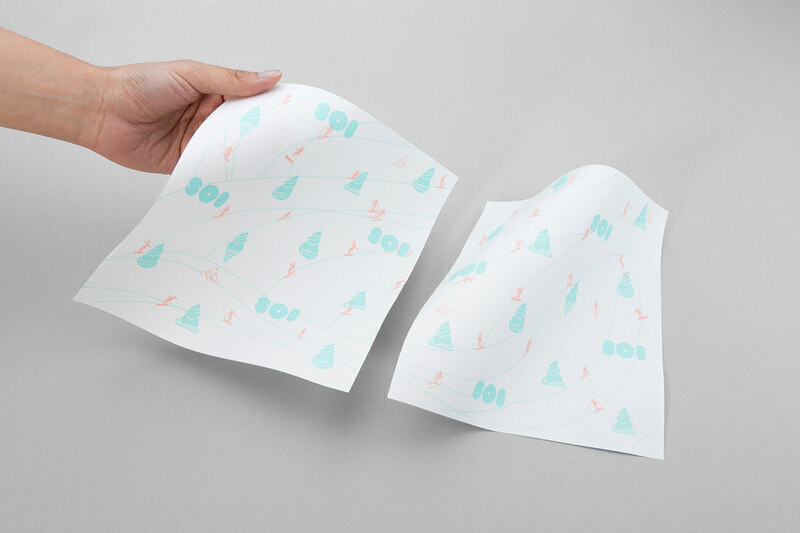 For the graphic elements we illustrated their products in a whimsical and colourful way, with sprinkles on top of the soft serve ice cream. 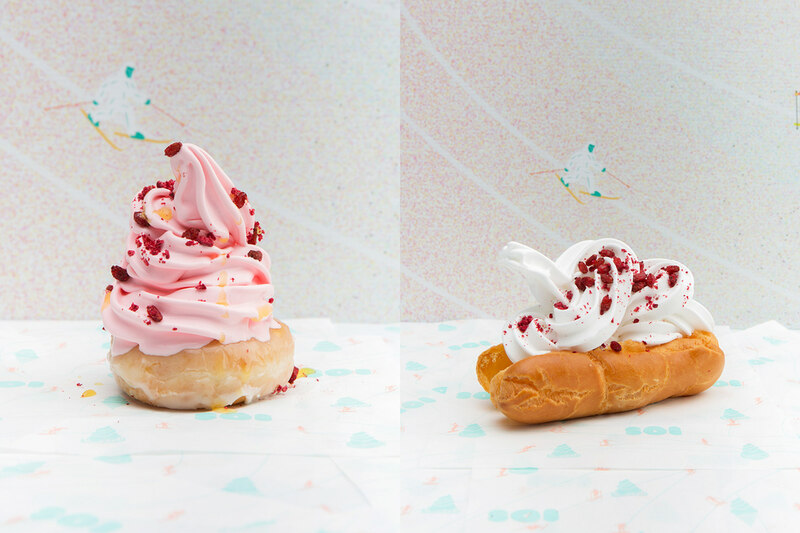 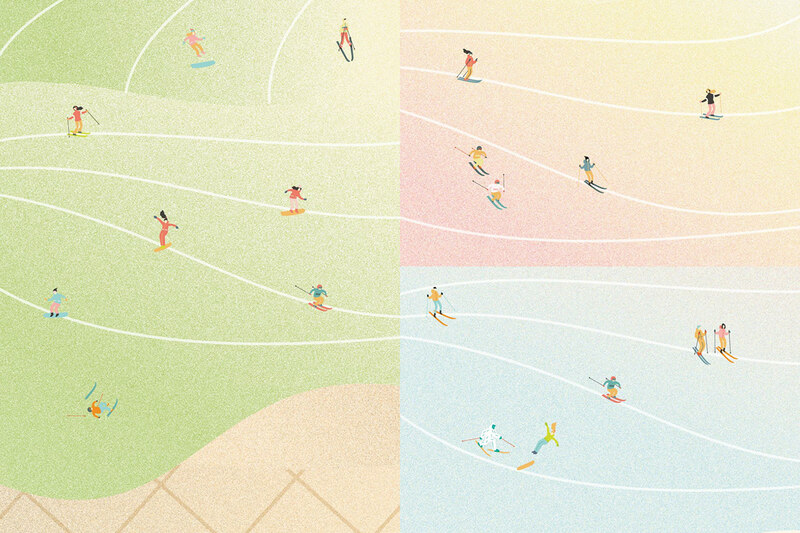 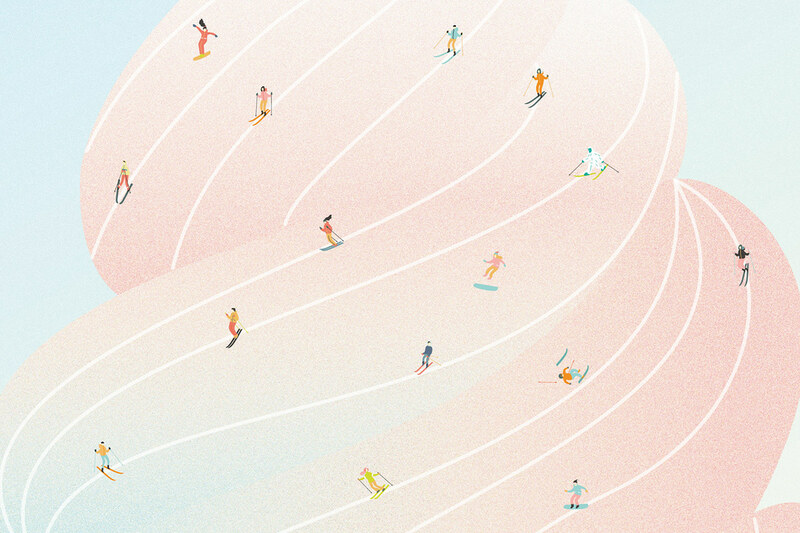 Try to look closer, and you will find out that the sprinkles are actually tiny humans skiing and snowboarding on top of the soft serve ice cream.